Good, trained dogs are hard to find, and can be expensive. Custom training can be a sensible way to get the trained dog you desire. Your dog will stay with us and will work sheep daily, in a clean, safe environment. We limit the number of dogs we take in each year. The cost is $500 per month. Please call to discuss availability. We offer lessons at our farm, most days of the week. The cost is $50 per hour and $35 per half hour. 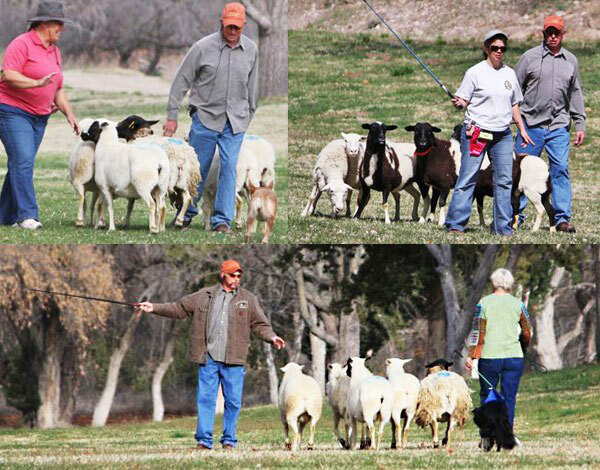 We also offer individuals and groups the opportunity to stay at our farm and train. Call for details, and available times. We occasionally host clinics at our farm. We also teach around the United States and Canada. If you are interested in hosting a clinic, or would like to attend a clinic, give us a call or email us. Norman is an experienced judge, he has judged numerous trials throughout the US and Canada including the 2011 National finals he will return to judge the 2017 United States National Finals. He is available to do a limited amount of judging each year. Contact him for more information.